With the Brose e-bike drive system, the international automotive supplier continues to expand its activities on the bicycle market. In 2016, 26 brands with more than 100 models will be equipped with individualized systems. In September, the Specialized Turbo Levo FSR model won the Eurobike Gold Award for the perfect system integration of the drive. Yet another success in the young history of Brose Antriebstechnik. In 2010, the mechatronics specialist ventured into new terrain. The company transferred its development and production expertise from the automotive sector to e-bike drives. 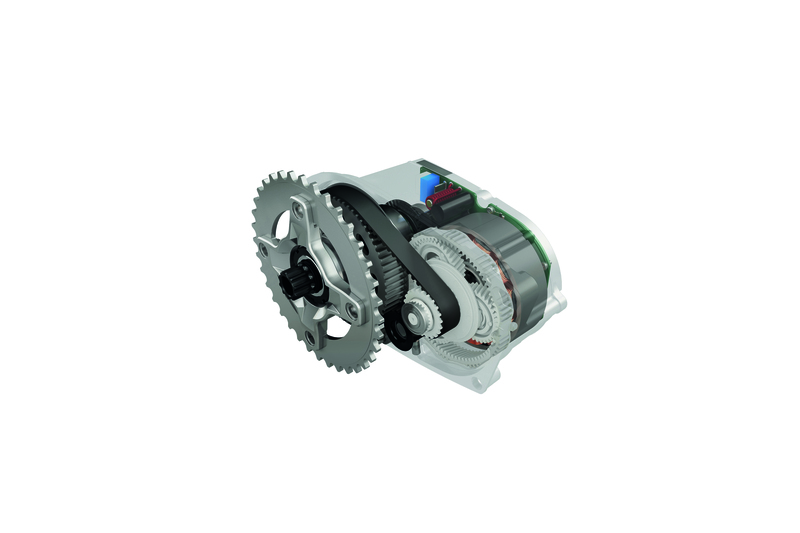 Based on their million-fold proven steering motor for cars, Brose engineers developed a drive unit weighing 3.4 kilograms for electric bikes and pedelecs. The supplier has set standards in terms of performance, weight, cycling comfort, design and individual possibilities of integration. Today, the company is a specialist in e-bike drives in the premium segment. “There is great potential for e-bikes worldwide. This type of e-mobility can meet changing needs in mobile everyday life as well as in people’s active recreational free time,” explains Christoph Bantle, General Manager Brose Antriebstechnik, during the 66th International Motor Show in Frankfurt. The e-bike market in Germany is growing by 17 percent a year. In 2018, there will be about 5 million e-bikes sold throughout Europe. The Brose e-bike drive is almost silent and vibration-free. High-resolution sensor technology and intelligent drive control ensure harmonious as well as powerful pedal assistance with a torque of up to 90 Nm. The compact design of the mid-motor with a flexible mounting position enables optimal frame geometry. Due to its high level of customization, the drive system can be used in a variety of ways, in city and trekking bicycles or mountain bikes. In addition to a powerful and efficient mid-motor, Brose offers, if desired, a customer-specific overall system. BMZ GmbH in Karlstein, Europe’s leading manufacturer of rechargeable battery packs, supplies the battery. At the 2013 Frankfurt Motor Show, the mechatronics specialist presented the first prototypes, which were close to series production, with the bicycle manufacturer Rotwild. A year later, Brose Antriebstechnik GmbH & Co. KG was founded. The motors plant in Berlin was expanded to accommodate a competence center for e-bikes. In the summer of 2014, series production of the electric motor began. Expertise from the automotive sector ensures the highest levels of quality. Brose is the only manufacturer of a mid-motor e-bike drive “Made in Germany”. At Frankfurt’s International Motor Show, the company is displaying its passion for technology and its joy in innovation in the area of e-bike mobility by exhibiting a design study. In collaboration with Munat Günak’s prestigious team, it is possible to experience with the Visionsbike how electrification can make cycling even more comfortable in the future.